Have you ever been in a moment where everything felt just right? Maybe you were guided to a new job, or set out to do something and it all came together, seamlessly (kinda like you were being guided). That all-is-well feeling is you being connected to your Higher Self and allowing it to guide you. Basically, before we were born, each of us set an intention for our life. All of us have a purpose, and connecting with our Higher Self can help us lead us to that purpose… and lead the most joyful life possible! Connecting to your HS It’s like a really fun game of hot and cold, if it feels right – you’re getting “warmer” (more connected)! But we don’t have to guess, it’s possible to further connect with, and hear our Higher Self. Your Higher Self is the REAL you. 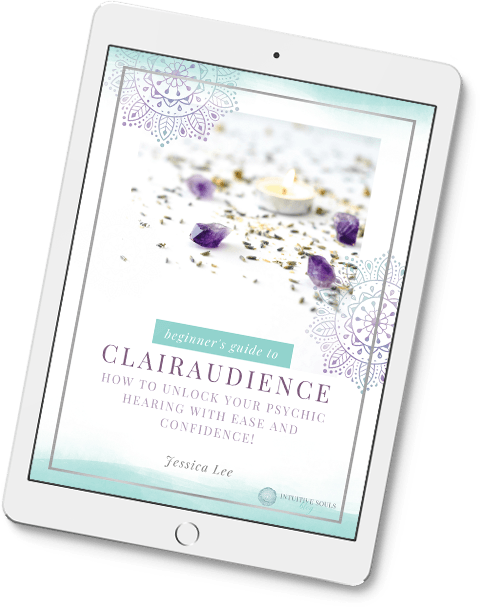 It “speaks” to you through your intuition (when you get intuitive nudges, you are “hearing” it). The most important thing to remember: These physical bodies of ours are just a teeny-tiny portion of our overall selves. Your soul… that’s the big picture, baby! Don’t forget to hover the image and save it to Pinterest! An inner peace, calm, and understanding. Trusting (even when going through a difficult time, like an audit or caring for a sick loved one). Sensitive to signs the Universe is sending (symbols, numbers, etc). Intuitive (think: ‘gut feelings’ or strong feelings about people and/or situations). Tuned into to your higher purpose or goal in life (and less likely to get caught up in the little things). We can never disconnect with our true self (after all, it IS a part of us), but we can feel distant from it sometimes. Being connected to your soul is like driving your car on 4 brand new tires! When you’re feeling “not so connected”, it’s like driving on bald tires – sure, you can still get from point A to B, but the ride is definitely not as smooth or fun! Caught up in the little things and unable to see the bigger picture. Meditation is often talked about (especially by me), so it’s easy to skim past it. 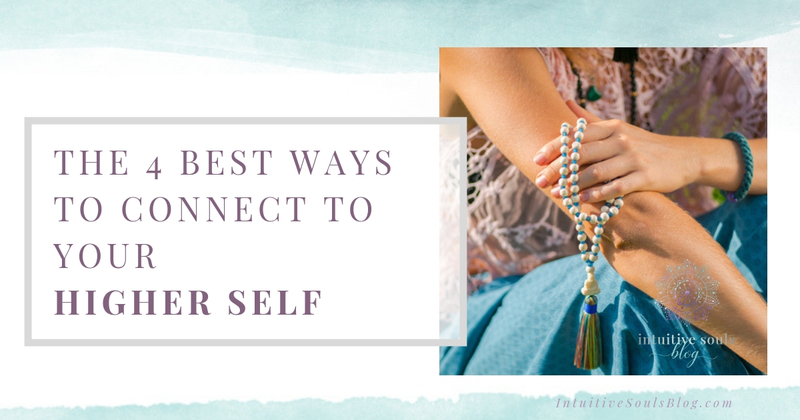 But this is one of THE most effective ways to connect with your Higher Self. When we meditate, we dive deep and focus in on ourselves. Because our Authentic Self is the spiritual side of us, meditation takes us there by definition. It’s like tuning into HBO to watch Game of Thrones. You know you aren’t gonna see that action on any other channel! Find a comfortable spot and begin taking some deep breaths. Relax and breath until you feel Zen. If your mind starts to wander, gently bring it back to your breath. Tip: One yoga instructor I had related our thoughts to passing cars. He said during meditation, imagine sitting on the side of a road. All the cars passing are your thoughts. Acknowledge them, but don’t try to hop into each car. That analogy always helps me remember my intention for each meditation. :) If you need more help with meditation, here’s a post to teach you the basics. When you journal, you subconsciously get in touch with yourself on another level. Your journal is one of the only places where you can TOTALLY be you and say whatever is on your mind… and that’s really beneficial when connecting to your Inner Being. When we’re not tuned into our HS, we are probably focused on (or overwhelmed with) all the little things in life – because there’s no bigger picture. Journaling helps clear out all that clutter and provide a fresh perspective! Also, you will start to become more aware of your intuition (which will never steer you wrong). Is there a phrase or saying that always seems to bring you back to yourself and the bigger picture? If not, you need to get one. It’s POWERFUL! Mine is, “it is well with my soul”. I even have a sign with that saying hanging on my wall! Whenever I feel that I need to connect more deeply with my soul and come back to a state of understanding and calm, I close my eyes and say, “it is well with my soul”. The dog just peed on the carpet AGAIN, but it is well with my soul. Yes, my daughter snuck a boy into the house at 2am, but it is well with my soul. Think of some common phrases or sayings and see if you have a connection with one of them. Or, make up one of your own! It should be highly personal and powerful enough to remind you to take a deep breath, reconnect with your Spirit, and find the bigger picture. When our mind is relaxed, it’s easier for us to have a positive perspective and be at peace. This means that our energetic vibration rises and we naturally deepen our connection to our soul. A peaceful state of mind allows us to open a dialogue with ourselves and connect with our intuition. Take a salt bath. I LOVE bathing with himalayan sea salts. It relaxes every muscle and bans worry from my brain. You can also use epsom salts and essential oils. Paint, draw, or color. These things allow your mind to wander as you’re hands are busy creating — which frees it up to have a chat with your Inner Being. Personally, I’m a lover of those adult coloring books! Don’t focus on perfectionism or creating the next Picasso, just let yourself be free to create. Get active. Major bonus points if this activity is outside… because nature is the closest we can get to the Universe. When I’m having a really tough day, I go outside (barefoot!) and walk around on the grass and dirt. It helps me feel connected, grounded, and more at peace! Yoga is also a great choice because it can release some blocks and activate your chakras (which are the psychic-energy centers of your body). Sometimes it’s tough to break the cycle when we’re constantly being drawn to focus on the small picture and routine annoyances (how is the store STILL out of your favorite ice cream?!). But the next time you’re feeling chronically frustrated, anxious, or indecisive, remember that your Higher Self has a bigger plan and intention for your life. Try the tips above to connect with it and find peace in your soul. This leads to a spiritually healthy life, inner bliss, and a fulfilled purpose.